Since we have moved out to Corcoran, we enjoy hanging around the house more and tinker about. This is a pretty significant change in our approach to weekends vs. when we lived in the condo- our tradition in the condo was to pack our weekend full of activities so we were at home as little as possible. This weekend I spent my saturday cleaning out the barn. Martha, my welsummer started squawking at me. I soon realized she didn’t like the commotion I was making. 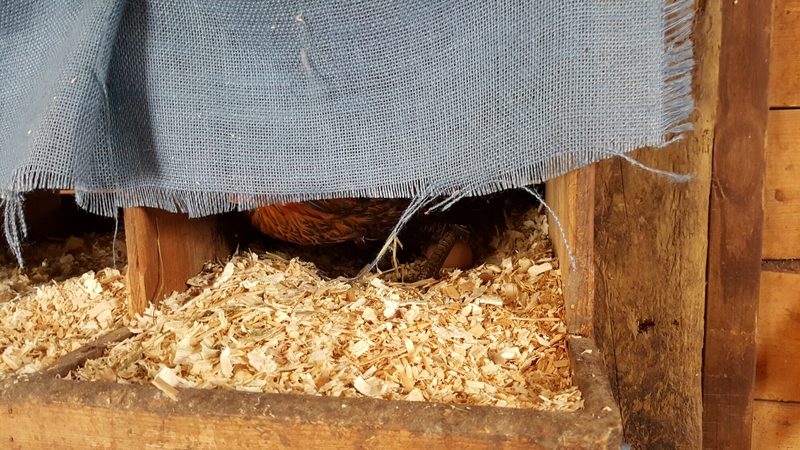 She had plans for laying an egg in a quiet private box. I gave her some privacy and was excited to see the egg laying in action. We have been consistently getting an egg a day. But I was surprised to see that her eggs are pretty small. So I am still trying to figure out who gave me the giant egg. 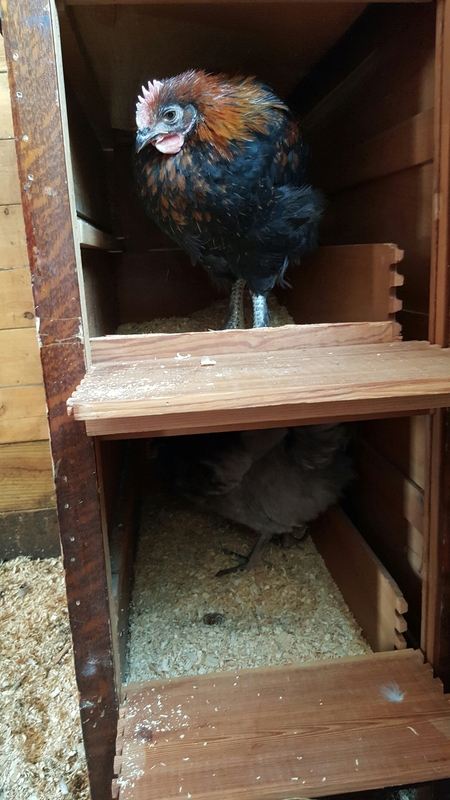 The other observation I made this weekend is how big Eliza was getting, my ameraucana. I became a little concerned that she may not really fit in the laying boxes. So, we decided to remedy this issue. Dustin and I headed to the store to figure out a solution. First we looked at lumber, then giant mailboxes, then plastic tubs, kitty litter boxes to wood crates. My budget was getting a little out of control and decided to use what we had. We settled on modifying an old dresser. It turned out pretty good. If I was a chicken that is where I would stake my claim. 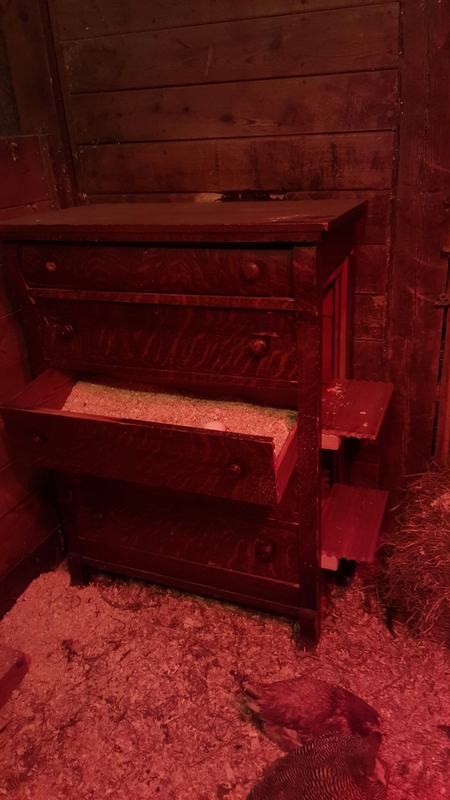 Two drawers were taken out for head room and two drawers still work to grab eggs. 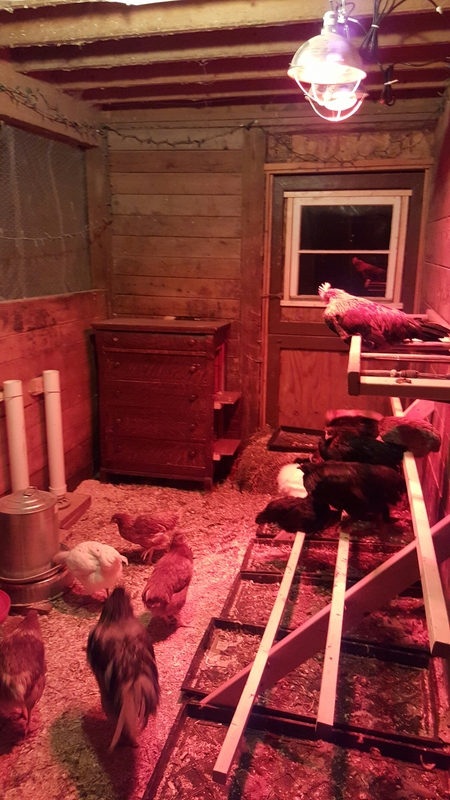 To fit the dresser we had to do some rearranging in the chicken coop. This is what we settled on. Wow I am impressed! 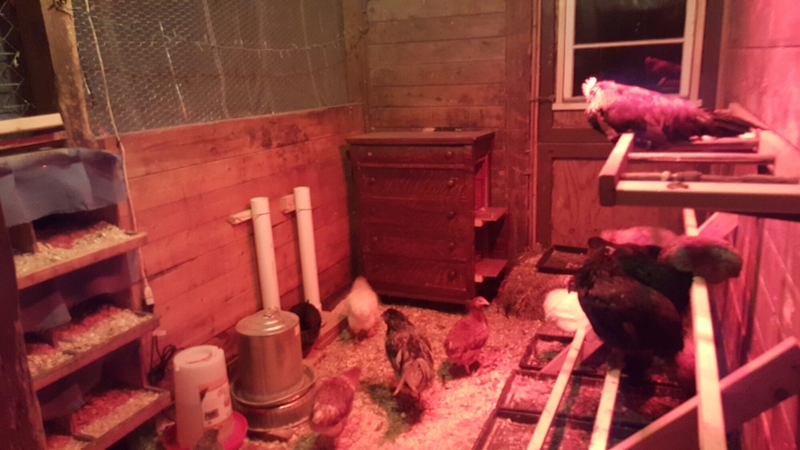 Did you have previous knowledge of chickens or did this all start with the Sheridan Art Science projects? 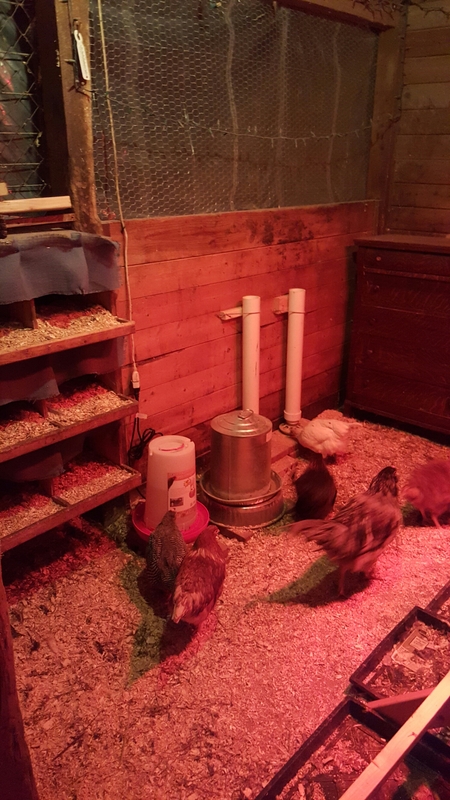 I have dreamed of having chixkens for Years. We have just never have any land for me to raise my own. Sheridan was my first time. Now I read a lot of blogs and online resources.